We’ve popped the champagne to celebrate … now it’s down to business. 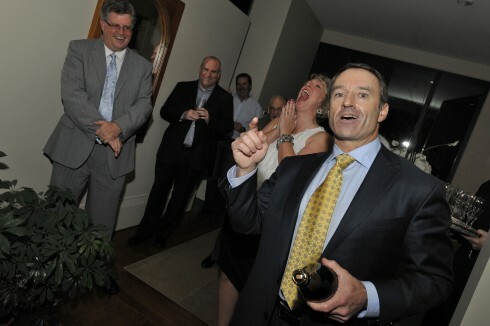 SBC Inc is officially operational after a celebratory launch party in Ottawa on October 7th. Many thanks to my colleagues who came to help me kick things off in style. Special thanks to the very talented Michelle Valberg for taking some time away from the party to take a few wonderful shots! Steph Seguin, the owner of the company, had an uncanny ability to turn words like ‘simple’, ‘contemporary’ and ‘elegant’ into big bold images and a fabulous-looking website. I would strongly recommend his company to anyone looking for creative, quality work — on time and on budget. Stay tuned … I’ll be adding posts regularly.